Why Was Norman Foster’s Design for the New York Public Library’s Flagship Building Dropped? 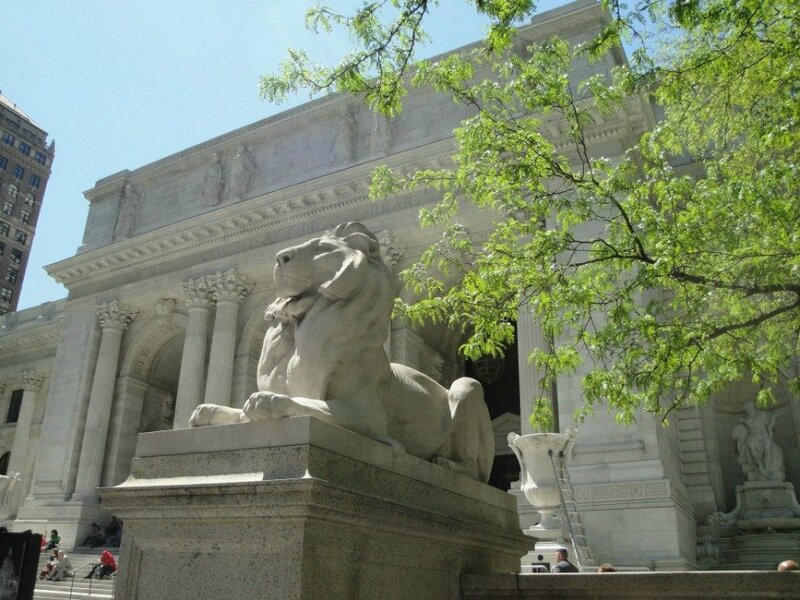 Though the famous marble lions that stand guard over the iconic Beaux-Arts building at Fifth Avenue and 42nd Street aren’t talking, the patience and fortitude of scholars and professors all over the tri-state area may have played some role in the shelving of a $300 million renovation plan for the New York Public Library’s flagship location. In the midst of three lawsuits and regular protests on the library steps, the library reversed course on revamping the midtown Manhattan building (which celebrated its 100 year anniversary in 2011) and moving 1.5 million books to New Jersey, a move that brought a sigh of relief to researchers worried about delays in gaining access to essential publications. The library initially hired British architect Norman Foster to realize its vision of replacing the “research” stacks under the Stephen A. Schwarzman Building’s main reading room with a new circulating library, replacing the one at the Mid-Manhattan Library, which was to be sold to partially finance the renovation. But an ever-increasing list of prominent scholars and authors argued that in addition to making it difficult for researchers to readily access necessary resources, adding a second library in the research building would detract from its reputation as a hub for scholarship. Several trustees also point to a study that revealed the cost of renovating the main building was going to exceed the original estimates, and budget concerns, along with the onset of a new administration and input from the public most likely contributed to the decision to abandon the project. With $150 million still promised from the city budget, the library is moving ahead with a series of changes for the main building that will more than double its exhibition area, provide a new education corridor serving children and teens, and offer new space for researchers and writers. 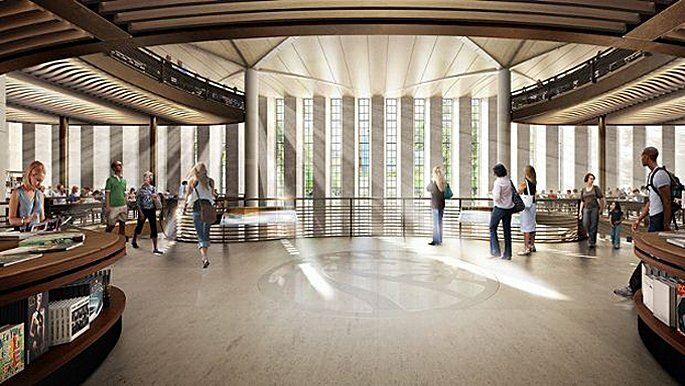 The Mid-Manhattan Library will now remain at its current site and a hoped for new renovation will add much-needed computer lab, an adult education center, and a vastly improved browsing experience for the library’s largest circulating collection.